URL redirection is a helpful technique used to make a web page available under more than one URL address or to prevent broken links if a site / page has moved. For example, www.your-domain.com/old-page can be redirected to www.your-new-domain.com/example. Type - Choose 'Permanent(301)' . / - Enter a particular page / section of the domain if needed. For example, if you want a redirect from just http://www.your-old-domain.com/old-page, enter just 'old-page'. Redirects to - Enter the full domain where you want the redirect to go to - the exact domain will need to include http:// or https://. Redirection type - Select your redirection preference. 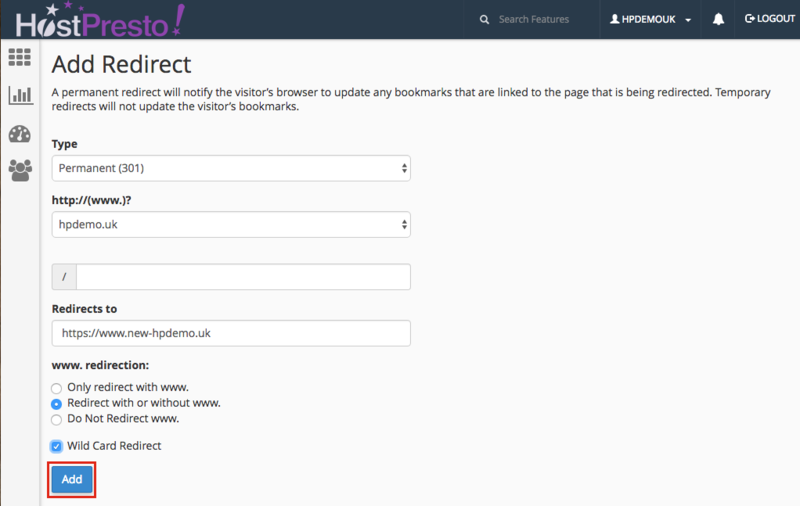 'Only redirect with www' ( the redirect will work if only visitors are using www. as a part of the URL), 'Redirect with or without www' (the redirect will work regardless of using www. as a part of URL or not) or 'Do Not Redirect www' (the redirect will not work if visitors are using www. as a part of URL). 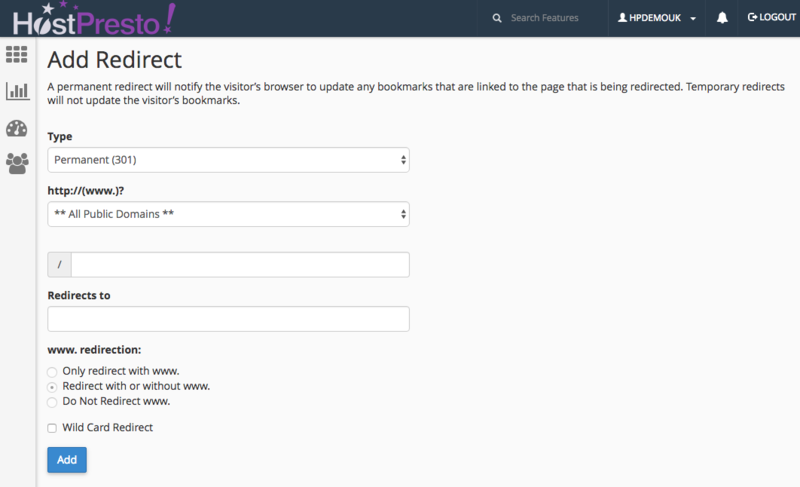 Wild Card Redirect - Ticked will perform a wildcard catch on the redirect to the page specified (recommended). Creating a URL redirect is now complete.